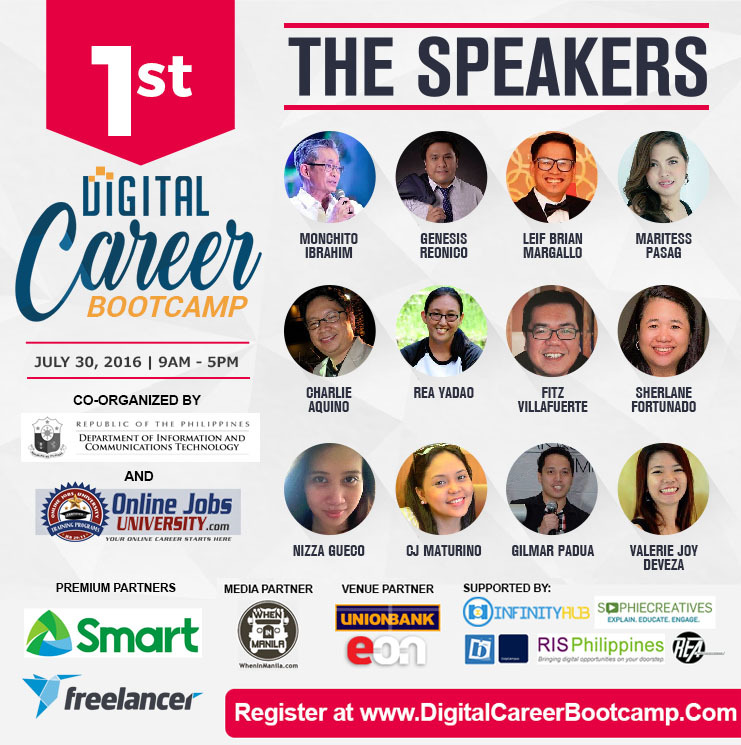 The 1st Digital Career Bootcamp, to be held on July 30, 2016 at the 48th Floor, UnionBank Plaza, Meralco Avenue corner Onyx Road, Ortigas Center, Pasig City, paves the way for Filipinos to establish an online career. With almost 1.5 Million online freelancers earning a decent or even above-average pay, it is no wonder that the so-called 'sideline' avenue of earning an income has now become a mainstream industry and a fast-growing career choice for many. Contributing to the growth of this industry are the perks and flexibility that it offers. As someone who works for clients abroad, one’s office space can be basically anywhere (home, coffee shop, or even the beach). Online freelancers also have the opportunity to choose who they want to work for and their working hours. They even determine their rates. One can earn from a low of $3 per hour up to $50 or even more. This digital migration is currently happening. There are those who have BPO experience but want to have more flexibility and increased earning capacity while being their own boss. They are now switching to this type of digital career. Interestingly, majority of online freelancers are women who have discovered that a huge benefit of having a digital career is the opportunity to earn while at home taking care of their loved ones. There is no longer a need to go abroad just to earn an above-average income to sustain the family. 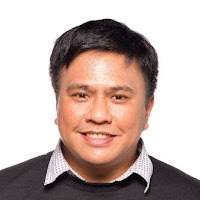 "I envision this industry growing even bigger, especially with the support of the Government through the various programs that the Department of ICT is implementing all over the country," said Genesis Reonico, a Digital Career Coach and founder of OnlineJobsUniversity.com, who has traveled to different parts of the Philippines since 2014. Mr. Reonico has conducted training workshops, delivered talks, and has been championing that "having an online job is an excellent alternative career choice for everyone, anywhere in the country." The goal of the Digital Career Bootcamp is to bring awareness and provide up-to-date information and inspiration on how to get started finding sustainable work online. Experienced online professionals are on-hand to share their experiences and give a sneak peek into their daily routines as online service providers and help attendees get started with their own digital careers today. The participants will be given actionable steps that they can follow. They will even be guided further after the event as they become part of an exclusive online mastermind group of online professionals and learners. As long as a person has the right competencies, skills and understanding about this industry, he or she can have a successful digital career working from home and enjoying the online jobs lifestyle. The 1st Digital Career Bootcamp aims to equip the participants with these and more. Co-organizer of the event is the newly-formed Department of Information and Communications Technology (DICT) with the project headed by Deputy Executive Director Monchito Ibrahim. The DICT firmly believes that online work can help many Filipinos especially those in the rural areas where opportunities are limited. 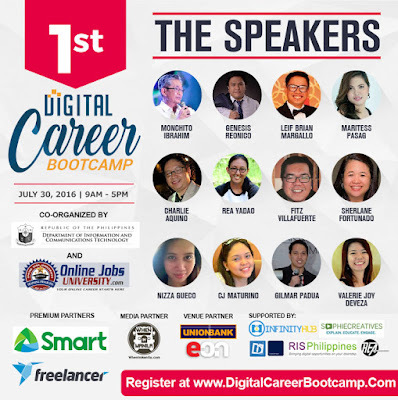 • To register for the 1st Digital Career Bootcamp, click on digitalcareerbootcamp.com.